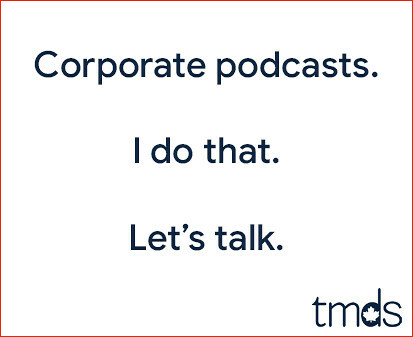 We're having a pretty good discussion about the separation of church and state in the comments of my What Really Matters? entry. 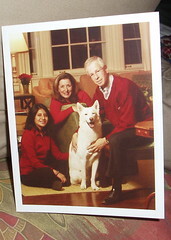 After sharing my concern at the overtly religious nature of Dubya's Christmas Card I had a laugh when I came home from work today and found I had received a holiday card from Stephane Dion. 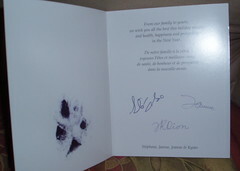 Stephane Dion's card has a picture of his family on the front, with their dog Kyoto, and this text on the inside in both English and French. From our family to yours, we wish you all the best this holiday season, and health, happiness and prosperity in the New Year. That's the kind of secular holiday greeting I'd expect from a politician. Why did I get a card from the next Prime Minister of Canada? Did everyone get one? Did you get one? Am I on some Liberal Party mailing list or is Dion a fan of my Harper bashing? Now, my 5 english credits courtesy of the Ontario Secondary School system are telling me that's what could be called "foreshadowing". But that's just my opinion, I could be wrong. Sorry you are not special. Got the same card last week. It's been recycled as of Monday. I didn't get one but then again I think he's a tool. I hope FreddieP gets one. I had no idea he named the dog Kyoto. It's funny, but I received one more card yesterday... and it was from Freddie P.